These great knit peacoats from Splendid Littles are marked down significantly on Amazon right now. 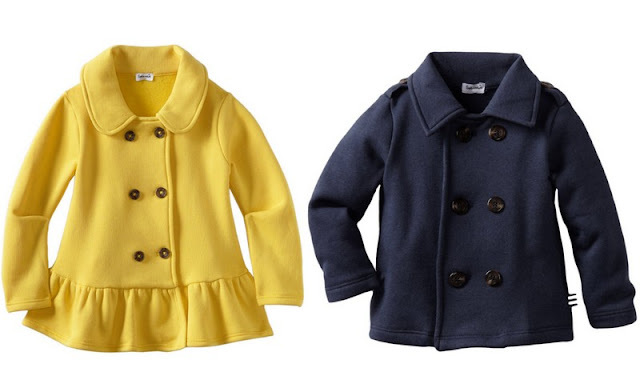 The yellow and navy ones (sizes 2-7) on the top row are 50% off right now at $44. And the edgier "moto" peacoats on the bottom row are between 68% and 71% off, depending on the color (sizes 7-16). They were originally $128, but are now between $37 and $42. These would all be a cheery nod to cool spring days. A good peacoat is always appropriate. All of the jackets above qualify for free Super Saver and Prime shipping on Amazon. Find them here .